This Unit focuses on ecosystems and addresses the California Science Standards for 4th grade Life Science. By the end of the unit students will know: ecosystems are communities of organisms that interact with each other and their physical environment; that living factors are called biotic factors and nonliving factors are called abiotic factors; biomes have specific biotic and abiotic factors that make each one unique; all organisms have needs that are met by their environment and adaptations provide an advantage in meeting those needs; basic interactions in ecosystems are food chains and food webs in which matter cycles and energy flows; overtime, ecosystems maintain a balance, but that balance can be changed positively or negatively by natural and human actions. The Grade 4 Life Science Unit is presented to students through a series of investigations, experiments, active learning experiences, questions, and assessments. Assessments include: pre-, post- and 3 formative assessments. This Unit focuses on magnetism and electricity. All of the Grade 4 California Science Content Standards for Physical Science are addressed in this unit. By the end of the unit students will know: electricity and magnetism are related effects that have many useful applications in everyday life. Through a series of hands-on investigations students will experience the effects of magnetism and learn about static and current electricity. Students will design, build, and use: series and parallel circuits, a simple compass, and an electromagnet. Students will learn the role of electromagnets in the construction of electric motors and experience how electrical energy can be converted to heat, light, and motion. 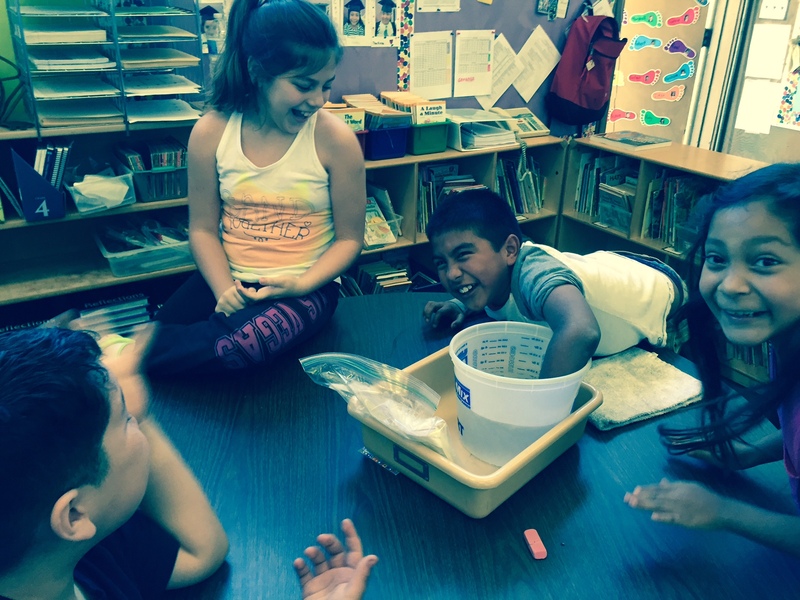 The Grade 4 Physical Science Unit is presented to students through a series of investigations, experiments, active learning experiences, questions, and assessments. Assessments include: pre-, post-, and 3 formative assessments. The Grade 4 Earth Science Unit focuses on the Earth’s continuous process of change. All of the Grade 4 California Science Content Standards for Earth Science are addressed in this unit. By the end of the unit students will know: Earth changes and is shaped through slow and rapid processes. Through a series of hands-on investigations students will experience the effects of weathering and erosion. Students will learn how to identify rocks and minerals via their properties. The Grade 4 Earth Science Unit is presented to students through a series of investigations, experiments, active learning experiences, questions, and assessments. Assessments include: pre-, post-, and 1 formative assessment. Thank you for this site! It is wonderful! It has exactly what I need and it’s easy to understand! I teach 4th grade science, and your site really covers many of the topics I am currently covering wiht my students. This site is one-stop I frequently visit. Thanks again!! !